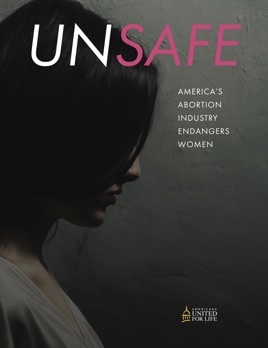 Americans United for Life presents "Unsafe: America's Abortion Industry Endangers Women," a groundbreaking investigative report on America's abortion facility conditions. "Unsafe" details the reality of abortion facility conditions, documenting that 227 facilities in 32 states were cited for more than 1,400 health and safety deficiencies between 2008 and 2016, including hundreds of significant violations of state laws regulating abortion facilities. Due to a lack of responsible reporting, facilities in states like California could not even be fully evaluated. "Unsafe" equips legislators with evidence of the need for health and safety standards, as provides support to legislators and all Americans in calling for comprehensive health and safety regulations in every state.